The OxyBoy can be adapted to perform ‚Cliquage‘ - the action of dosing a large amount of oxygen in force into the most during a very short time. This option overrides the internal dosage programmed in the unit to allow the maximal amount of oxygen to be spurted into the must in the largest possible surge of gas. Such a jet of oxygen into the tank at the beginning of the fermentation has a similar effect as the macro-oxygenation. Integrated temperature measurement function allows the setting of operation within a temperature range (requires the temperature-sensor kit - option).This allows oxygenation at the most favourable conditions for the most beneficial effect on the wine and beer, and serving as a safety measure of the oxygenation process. The timer-option frees the winemaker from having to control the dosing time manually. Micro-oxygenation can be set for three months in advance, releasing the winemaker from the need to remember to switch it off in time. 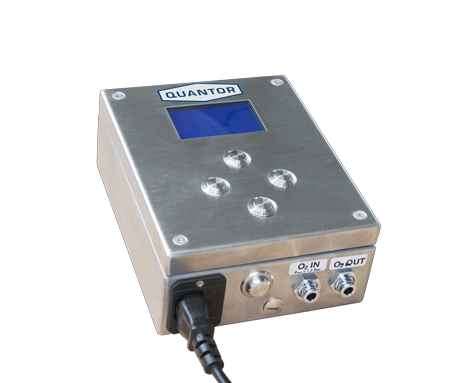 OxyBoy / OxyMan contain a quartz based timer (deviation range 1 minute in 100 days) which ensures the accuracy of the oxygen application also after the unit is switched off when set on timer. The OxyBoy and the OxyMan are portable units in a solid and waterproof (IP 65) stainless steel housing, with hanging possibility. They are designed for the application of oxygen in gas form to mash, must or wine and can be applied in both micro- and macro-oxygenation. The OxyBoy can apply smaller doses of oxygen (max. flow rate 30 nccm / min), but it is therefore extremely exact. The OxyBoy is optimal for micro-oxygenation, and for macro-oxygenation of smaller tanks. The larger dosage element of the OxyMan allows the application of 6.66 times as much oxygen as the OxyBoy (max. 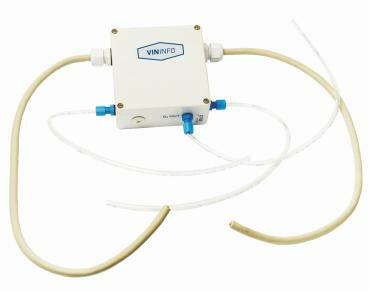 flow rate 200 nccm / min). The OxyMan is therefore ideal for macro-oxygenation applications, or micro-oxygenation in larger tanks. OxyBoy and OxyMan are equipped with sensitive sensors from the medical technology, thanks to which they are free from the influence of entry and exit pressure (height of must or wine). 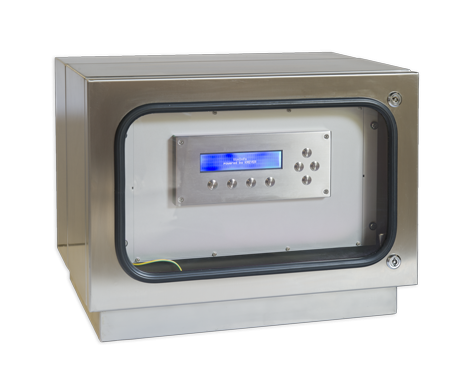 The unit reacts automatically and continuously to changing environmental conditions. Both units offer the highest precision and long-term stability in the application of oxygen. This is guaranteed by an independent calibration started each time the units are switched on, by temperature compensation and by microprocessor technology.